Believe it or not, I am just back from my Vietnam and Cambodia experience on the AmaWaterways AmaLotus and I am about to embark on the 2012 Goldring Travel Food & Wine Cruise aboard the Seabourn Pride departing on September 22, 2012. Talk about "Compare and Contrast"! This is going to be and adventure it in. I am still trying to wrap my head around snacking on fried tarantula and fertilized duck egg in remote Cambodia and then only a month later dining on oysters and foie gras in France. But I must struggle on! In Goldring Travel's 2012 Food & Wine Cruise on the Seabourn Pride - Part I I have detailed the exclusive events I have created for our small group in Cork, Ireland and in Bordeaux, France...and there will hopefully be a bit of a surprise in Falmouth, England as well as the annual Food & Wine Tasting aboard the Seabourn Pride. Briefly, what I try to do is utilize the foods and wines of various places to assist in bringing culture closer to my guests and providing a richer travel experience. And, of course, I make sure it is done in a fun and non-pretentious way without those in our group feeling like they are in a group. I do this by not taking any of this seriously (except my organizing it all) and assuring that everyone is comfortable doing things their way. Hence I do not have events, cocktail hours and dinner parties scheduled for each day. So in Cobh (Cork), Ireland I am combining a walk through the English Market (it is always important to see what the locals are eating...and there are always surprises), a causal lunch at a very well respected, but old time, gastropub and then a cooking lesson at a culinary school located on a 100 acre organic farm; finishing up with a pint of Guinness. In between, and while not Shopping with the Chef or finalizing our Food & Wine Tasting, I plan on wandering the wonderful and historic small towns, soaking in "my" hot tub on the bow of the Seabourn Pride with a glass of champagne and getting back to what a Seabourn cruise - if you cruise for the ship rather than the destinations - is all about. What? Huh? Eric Goldring, err' um, Iamboatman, is not just going to travel?! He is going to cruise?! Yes, that's right. I am also going to relax, spend time with my wife, sit at the Sky Bar, read a book (until I fall asleep, that is). So why am I going to do it on this particular cruise? I am so glad you asked! You see, the first Seabourn cruise I ever took was on the Seabourn Pride. I was a pretty new travel agent and didn't really know what Seabourn was all about. 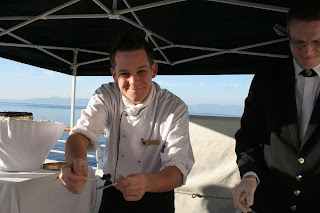 But then my eyes were opened and I saw what a different experience a Seabourn cruise was from a mass market cruise. 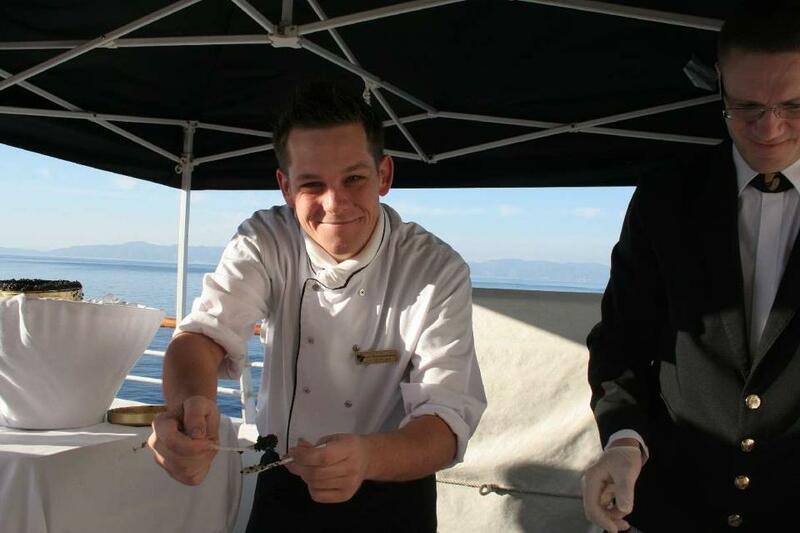 It not only got me hooked, it made me a better...much better...travel agent because Seabourn and its staff and crew showed me first hand what it is like to treat guests as, well, guests. It is, in fact, where I came up with my motto, slogan and business model: Be Treated By Your Travel Agent As You Will Be Onboard! In the years since Seabourn has gone through many changes from the passing of its leader, Debbie Natansohn, to the building of the three fantastic Odyssey-class ships, to the merging of many systems with Holland America. So on this cruise I get to go back onto my first Seabourn ship, the Seabourn Pride, with its mere 208 guests and experience that which has historically made Seabourn the best in the luxury class. As was explained to me way back then: It's the Seabourn software (people), not the hardware, that makes it so special. 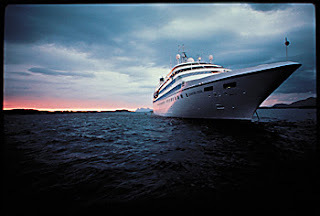 It may be too late to join me on this sailing, but if you are interested contact me about the 2013 Goldring Travel Food & Wine Cruise on the Seabourn Quest. 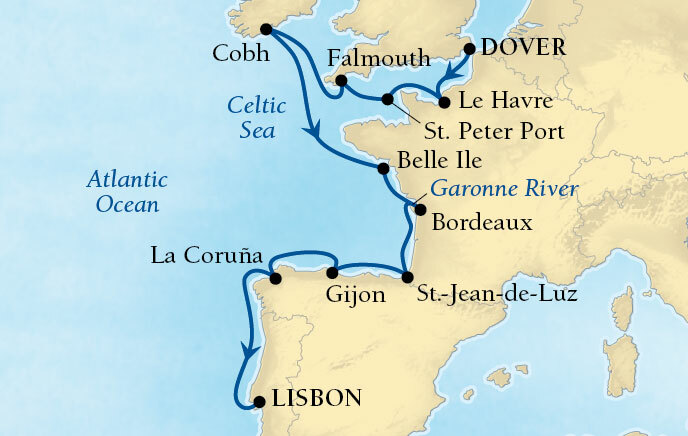 It is a seven day cruise on November 13, 2013 from Rio de Janeiro, Brazil to Buenos Aires, Argentina (overnighting in Montevideo, Uruguay) with a great mix of food, wine and nature. 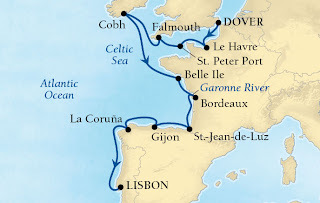 I will be adding some pre- and post- cruise options. Details are coming!